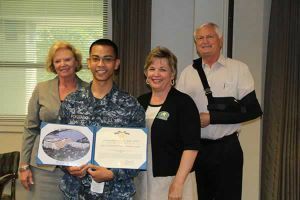 Pensacola State College student Christopher Porquaido has been presented the Navy and Marine Corps Achievement Medal. A petty officer third class in the U.S. Navy, Porquaido received the commendation for his service as a dental technician from April 2013 to April 2016 at the United States Naval Hospital (USNH) in Yokosuka, Japan. 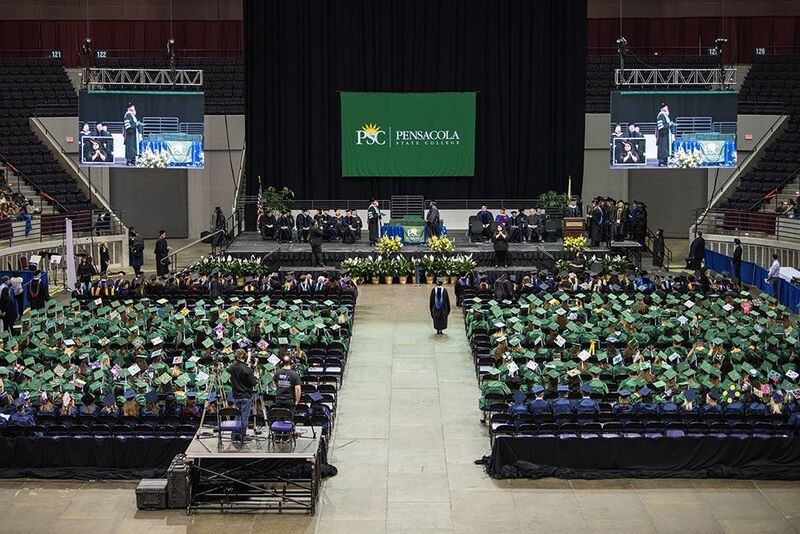 He enrolled in Pensacola State’s dental hygiene program in May. The Navy and Marine Corps Achievement Medal is presented for meritorious service or achievement in combat or non-combat circumstances based on sustained performance or specific achievement of a superlative nature. Capt. Glen C. Crawford, USNH’s former commanding officer, asked Pensacola State President Ed Meadows to present Porquaido the medal on his behalf. Crawford was the USNH’s 34th commanding officer and is now chief of staff at Navy Medicine West in San Diego. “I was very surprised to receive the medal. The recognition was unexpected, but I am extremely honored to receive this recognition,” said Porquaido who joined the military in June 2012. Meadows who awarded Porquiado the achievement medal at a Pensacola State Board of Trustees meeting said he was honored to have been given such a task. A Darien, Georgia, native, Porquaido is a 2008 high school graduate. He and his wife, Janelle, have a daughter, Amari.